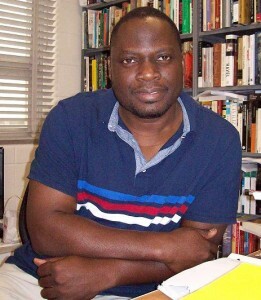 Ebenezer Obadare, an associate professor of sociology at the University of Kansas, Lawrence, is researching the emergence of what he terms “Charismatic Islam” in Nigeria. 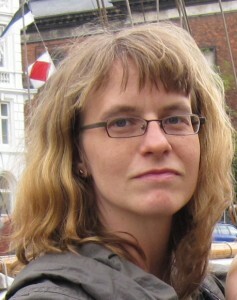 Despite the electricity going out just as he started discussing Pentecostal notions of power, Obadare reported from Lagos to Jennifer Lois Hahn on interfaith competition and exchange, political power shifts, and the role of the nation’s largest freeway in the spiritual marketplace there. Jennifer Lois Hahn: Can you give readers who might be unfamiliar with Nigeria a brief picture of the religious landscape there at the moment? EO: Nigeria is the most populous African country. One in every 5 or 6 Africans is a Nigerian. The population is about 175 million. There are three broad Ethno-language regions: the Hausa land in the north, the Yoruba in the south, and the Igbo in the east. There are hundreds of other minority groups. In terms of religion, there is a more or less clean divide between the Muslim north and the Christian south, with Catholicism being the predominant denomination in the southeast and Pentecostalism being the dominant form in the southwest. Perhaps because of this, the history of the country has always unfolded along the lines of tension between the two contending religions. JLH: Where do traditional African religions fit into this picture? EO: So that is a very interesting question, and I’m glad you asked because it usually doesn’t feature in most analyses. It’s there in the sense that you still find people who identify themselves as traditional worshipers. But it’s also an intangible presence in both Islamic and Christian practice and ideology. It almost becomes this “other” against which the “global” religions constantly measure themselves, an other that they really can’t do without. It’s the other that they deny, that they need to demonize in order to establish themselves. JLH: How would you explain the growth of Pentecostalism in Nigeria? EO: There are so many reasons for it. One is the fact that it succeeds, in the sense that people can point to concrete milestones and say, “This was my life before I became a born again Christian and this is my life now.” Those milestones are usually material milestones. The spiritual is also there. One can say, “I’m spiritually overhauled, I’m refurbished, I’m a different person.” A much more important reason why Pentecostalism has been a success is that it has been able to give people a source of stability and meaning in a general context in which meaning remains elusive and the state remains distant from people’s everyday lives. It’s become a site of solidarity for people otherwise left behind among the rough and tumble of everyday life. For many people, it has provided a concrete community. You have friends, you have associates, you have fellow professionals who you can say are also Pentecostals. For many people that is ground, almost literally, to stand upon, in a context in which global, economic, cultural, and material forces are trying to pull the rug out from under your feet. That ground becomes something very tangible and very real for many people. I think the other thing is, in a context in which the state has failed for many people, Pentecostalism provides an alternative horizon. It provides an explanation. It tells you, “Oh, the reason the state has failed is because we’ve been derelict in ethical respect. There are things we ought to be doing as a nation that we are not doing.” So it provides a framework for people to make sense of the world around them in terms of the everyday community in which they live, but also the global community in which they find themselves. For example, if you talk to many Pentecostals about the crisis of education in the country, they will say many of these things are punishment for the sins of our leaders. JLH: In one of your papers, you write about how Pentecostalism gives people access to power, that through the Holy Spirit people find this line to power that they wouldn’t normally have. Someone of a more Marxist-functionalist bent might question if that is real power. So for Pentecostals, the assumption is that behind everything we see, everything that is tangible, there is a different, ultimate source of power that sustains, produces, undergirds, and authorizes every other power—political power, material power, economic power. In order to fully understand that you have to go the African cultural worldview, particularly the Yoruba cultural worldview. Agbara is Yoruba for power. Without that power, you can’t do anything. You need power in order to be able to achieve anything in life. J. D. Y. Peel has written extensively about this. So that’s the first and most important sense in which power can be understood. The other type of power, in terms of understanding Pentecostal notions of power, is political power of course. In the Nigerian context, it’s not just political power as political power. It’s political power in a context in which there is a struggle for political supremacy between Muslims in the north and Christians in the south. In the perception of many people, the Muslim North has held on to power for so long. Those in the south feel marginalized. Part of the discussion leading to the birth of the Fourth Republic in 1999 was a demand for what was called a power-shift. 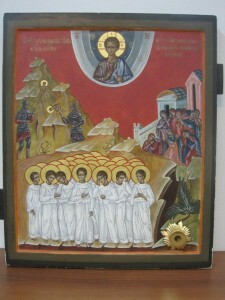 It was a power-shift in two senses: from the Muslims to the Christians and from the north to the south. So those are the two senses in which power features in the Pentecostal imaginary. The suspicion that spiritual power doesn’t always translate into economic or political gains is basically correct. But the empirical data complicates things. Take for instance the Redeemed Christian Church of God, which is easily the most prominent and successful Pentecostal denomination in Nigeria, if not in Africa, right now. So if you go with the argument that spiritual power doesn’t really translate into economic power, you’d be denying the reality that this church has come from very humble beginnings to become an economic behemoth. It’s got one of the biggest church spaces in the entire world. The church has universities. It employs thousands of people. So for those people, the disparity that a secularist interpretation might assume between spiritual power and economic power does not exist. What actually exists is a translation from one to the other in which if you mobilize spiritual power, economic power is most likely to follow. JLH: Let’s talk about Charismatic Islam. I’d never heard the term before reading your work. Is that a term that you coined? JLH: Very cool! Can you talk about the ways in which Muslims are borrowing, reinterpreting, or appropriating Pentecostal ways of worship? EO: I came up with Charismatic Islam to describe the reality I saw on the ground of Muslims increasingly relying on the same repertoires and devotional strategies of Pentecostals. So I could have called it Pentecostal Islam, but that would have been very problematic. But there was no way to get around the fact that certain Pentecostal practices were showing up in the Islamic context. And Charismatic Islam was a way for me to make sense of that and to name that phenomenon. To say, “This is what I’m looking at. This is not your grandmother’s Islam.” This is a new formation of Islam—contemporary, current, and modern, getting all its signals and suggestions from Pentecostalism. But here is the issue, and I think it’s important to underscore this: what I’m trying to describe is not a one-way affair. It’s an economy. In this part of the world, spatially, culturally, and in every other regard, Islam and Christianity have been very contiguous. When two great religions have lived in close quarters, when their practitioners have drunk from the same cultural water, it becomes almost impossible to have very strict denominational boundaries. I guess that’s a very roundabout way of saying that, in the past, Christianity has borrowed from Islam and Islam has borrowed from Christianity. And in the more distant past, both Christianity and Islam have borrowed from traditional religion. So Charismatic Islam then becomes the latest iteration of this process of mutual convergence, appropriation, and borrowing that takes place in a context of very fierce and intense interfaith competition. But this also takes place within a cultural framework in which people take it for granted that, “My cousin can become a Muslim. I can become a Christian.” For many people it’s not a big deal to have a Christian dad and Muslim mom, or vice versa. JLH: Can you talk about some specific ways in which Muslims are appropriating Pentecostal practices? JLH: Have Muslims adopted the Pentecostal practice of spiritual warfare? EO: The emphasis on the devil, on evil forces, on the evil eye, on witchcraft, on a particular construction of a demonology, a world-view in which there is always a negative “other”, either ambushing you, waylaying you, or something there that is frustrating your plans, and that doesn’t want you to succeed—that imagination, that demonology, has become part and parcel of Islamic prayer and devotional practices. This also takes us back to what I said earlier about the way in which African traditional metaphysics is almost always at the background of Christianity. Whether you are a Muslim or a Christian in this part of the world, you are first and foremost something else—and that is an African. You are born into a particular cultural habitus. There is no running away from that habitus, in that it catches you off guard when you are not even thinking about it. It’s pre-theoretical, it’s there before you even know it. It’s something that structures the way you see the world. For Christianity and Islam, it becomes something against which they continually battle, especially in the context of what Pentecostals and increasingly Muslims call spiritual warfare. I was listening on the radio yesterday, and a popular local musician, a Muslim by identification and practice, was signing a live song. And it came to this solemn moment where he started describing himself as a new person, and he used the term “born again.” We all know that usually when you say you are born again, it means that you were already a Christian, and that you became a new kind of Christian. But that word has now migrated from a Christian context into a Muslim context. JLH: Before we forget, let’s talk about the Lagos Expressway. I was so taken by what you have written about what’s going on there religiously. Can you describe that for our readers? EO: So the Lagos-Ibadan expressway is easily the most lively, traveled, and busy highway in Nigeria. Over time, because of Nigeria’s traditional problems with maintenance, it fell into disrepair. But it is still the artery that takes you from Lagos, which is a port city, to other parts of the country. So you have to travel on that road. The road is being fixed now, sort of. But that’s beside the point. The point is that at some point it became clear to everybody that in order to be able to establish a presence, you needed a spot on that Lagos-Ibadan Expressway. The first church to do that was the Redeemed Church of Christian God, which established a redemption camp somewhere on the expressway. Part of why the church did that—this has been acknowledged in the literature—was not just to have a physical space that was away from the hustle and bustle of Lagos, but also to signal its own capacity to build a city, a space, that was morally and ethically different from the rest of the country. Initially it was a camp where you would basically go to do the work of spiritual overhauling: you would commune with god, keep in touch with yourself, and undergo the [spiritual?] bath. Over time, the camp became, slowly and then very rapidly after a while, a city by itself. It has its own banks, its own schools. It’s extensive up in there. It’s huge! The centerpiece is the worship center. It’s almost like a Pentecostal Vatican if you will. So the redemption camp became very famous. Every year, they have the Holy Ghost Conference, and people come from every part of the world. I’m talking millions of people. But don’t forget, we’re talking about an expressway that is slowly falling into disrepair. Meaning that every time the Redeemed Christian Church holds a service, things just go crazy on the expressway. Drivers have been caught up in the ensuing anarchy, sometimes for twelve or even 16 hours of absolutely no motion. They can’t go anywhere. It didn’t take the Muslims too long to realize that something was going on here, that this expressway had been claimed by Christians, represented in this case by the Redeemed Church. What they needed to do was not just to contest that space, physically and metaphysically, but to say, “We too can bring traffic to a halt. Look at us. We’re big. We’re mighty! There are millions of us.” So at some point the Muslims decided that the only way they could match what the Christians were doing was to also have their own prayer camp on the expressway. 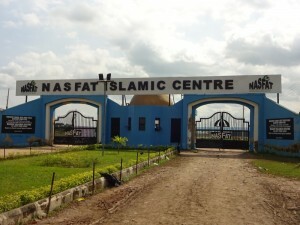 Lo and behold, the Muslim prayer group Nasirul-Lahi-L-Fatih Society of Nigeria (NASFAT) bought a piece of land on the expressway and established their own prayer camp. One of the most symbolic things they did was to engineer their own traffic snarl. It wasn’t an accident. The secretary who I spoke to in the course of my research said, “We did it deliberately.” I asked why and he said, “We wanted them to know that they are not the only ones who can block the highway.” And they did! And a lesson was learned. I recently needed to drive on that road again, and there are tens if not hundreds of churches and mosques on that expressway, on both sides. I’m talking real estate that would blow your mind. There are massive billboards. It’s become a space for every church or mosque to say, “This is who we are. We’re taking a stand. We’re present.” The political battle is carried out here in a special sense with people basically saying the expressway belongs to us, in the same way that they are fighting a battle for the possession of political supremacy in the country. JLH: It seems the members of NASFAT are largely professional, urban types of people. To what extent does the use of Pentecostal forms exist in other Muslim groups and demographics? Are more conservative Muslims adopting Pentecostal practices in the same way? EO: NASFAT is not the only autonomous Charismatic Islamic group in this part of the country. There are actually tens if not hundreds of groups. It’s an Islamic resurgence in itself, motivated partly by struggles within the faith—contentions, disputations, and all kinds of arguments happening among Muslims. At the same time, it is definitely a response to the stimulus provided by the success of Pentecostalism. As popular as NASFAT is, and as definite as the larger resurgence is, there are still elements within the faith that are not comfortable with many of these changes. But there is also an acknowledgement that if you’re going to survive, you’re going to have to do some of these things. It’s a catch-22 situation. You want to remain competitive in a religious marketplace, but you want to do that while holding on to your soul, to your identity that you think fundamentally constitutes you. So that’s the kind of struggle that is going on. JLH: I’m curious about the church/state situation there, with both Pentecostals and Muslims. Are religious groups trying to vie for the government being officially one way or the other? JLH: You know how in the United States there is often so much rhetoric about separation of church and state, and that if a President is religious he should keep that separate from his governing. I’m wondering if there is a similar rhetoric there? For instance, if someone is a Pentecostal president, do people think they should keep that out of governance? EO: A tiny group of intelligentsia and academics does—though of course not all academics. I count myself among that tribe, people who believe that you should keep church and state separate. Because once you don’t do that, you are creating room for the emergence of all kinds of problems. But most people don’t buy that argument. Most people think that there is nothing wrong with a Christian showing that he is a Christian. And there is nothing wrong with a Muslim showing that he is a Muslim. Now this is where it gets interesting: Muslims may resent the open, pornographic display of Christianity in the enactment of power, the same way that Christians might resent what they call Islamization of the state. So I guess, when a Christian is in power and I’m a Christian, everything is fine. And when you are a Muslim and a Muslim is in power, it’s fantastic. Right now we have a new president who is trying to find his feet. Expect Christians in the next few months to start saying, “There are too many Muslims in power anyway. Oh, he’s going to Saudi Arabia again? When a Christian was in power, it wasn’t this bad.” So that’s part of the background noise that I guess you are always going to expect. JLH: You’ve written about the emergence of women in leadership positions in Nigerian Muslim groups. Is that also something that is a mirroring of Pentecostalism? EO: I don’t know the extent to which it’s a mirroring of Pentecostalism, but part of the unwitting outcome of the development of Charismatic Islam is the fact that suddenly women are also becoming very prominent players within the Islamic faith. Two of the people I had the opportunity to interview are female Muslim preachers, who are married to men, but who have a degree of independence from their men. They are basically in their own individual camps by themselves. One is building a whole mosque. The other actually has a school. So a new spirit of entrepreneurship and individual assertiveness seems to have broken out among women as a result of the development of what I call Charismatic Islam. I don’t think it was intended. Men never intend for women to be free. But it’s clear that when you look back, this is why this has happened. I spoke to a conservative Islamic scholar in Ibadan and an Islamic theologian at the University and both of them kind of agreed and said, “Look, we get modernization and doing things differently, adjusting to new practical realities, but, hey, women shouldn’t lead prayers.” As a result of this development, there are also now very interesting debates among Muslims: “What did Khadijah do? What did the wives of the Prophet do? How much leeway did they have?” And the women leaders say, “You know, I’m sorry but your reading of the Koran is not my reading.” Which at the end of the day, I think is a very, very positive development. Having said that, within both Pentecostal and Islamic groups, you can say without fear of contradiction that we still live in a strictly male-dominated and very hierarchical system. I don’t want anyone to walk away thinking that Nigeria has become this avant-garde bastion for female liberation. No, it’s still a male-dominated world and I think it’s going to take a lot of time before that will change. Part of the interesting development within Pentecostalism is also the emergence of women-preachers, but many of them are preachers to the extent that they are identified as wives of pastors. JLH: One last question. You’ve said before that Islam in Africa is understudied. Why do you think that is? EO: Ever since I discovered that, I’ve been trying to find an answer myself. It’s not as if Islam is not interesting to study, right? Now I’m basically thinking on my feet, so I don’t know if this is the right answer, but perhaps the association of Christianity with western modernity has played a role. I don’t know the extent to which that helped in the development of literature around Christianity and sort of left Islam more or less under-appreciated. That and the initial reluctance by Muslims to send their children to missionary schools for fear of having them converted. But I think that it is beginning to change. Muslims themselves are writing more and more about the faith. And I think the fact that people notice all the exchanges between Christianity and Islam is working in favor of Islam. It was my interest in religion that took me to study Pentecostalism, but you can’t study Pentecostalism in Nigeria these days without talking about Islam. So the explosion of Pentecostalism, in the end, becomes something positive and beneficial for the study of Islam.